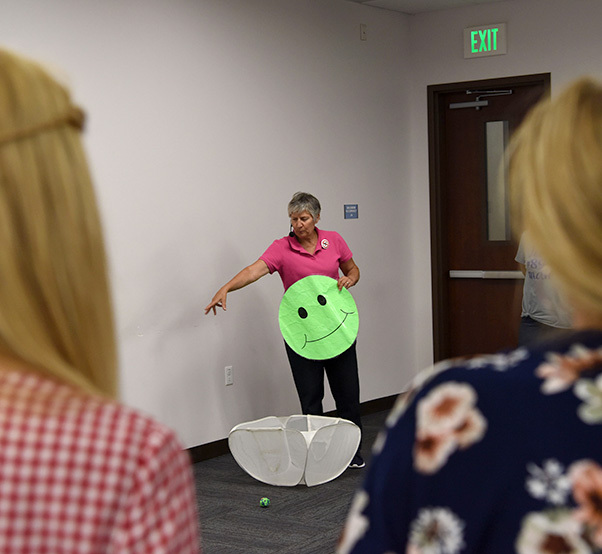 Dr. Diane H. Craft, a physical education professor, demonstrates a clean-up activity during a seminar Sept. 5, 2018 at Luke Air Force Base, Ariz. During Craft’s seminar Child Development Center employees and partner civilian agencies learned about the importance of how children being physically active reduces their likelihood of developing type 2 diabetes, cardiac problems or other health concerns. 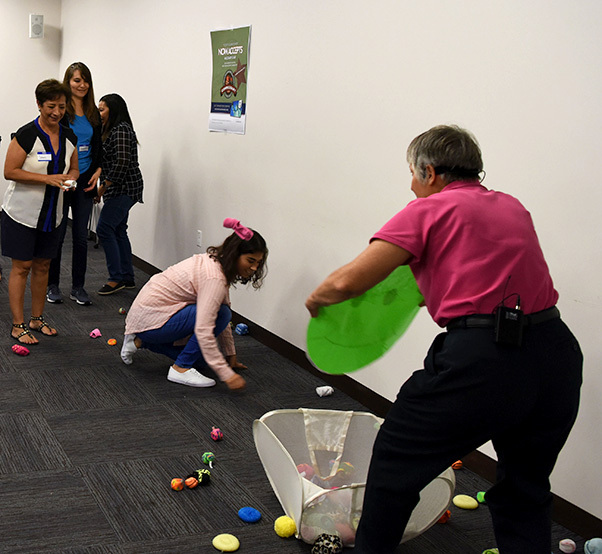 Seminar attendees participate in a clean-up activity led by Dr. Diane H. Craft, a physical education professor, Sept. 5, 2018 at Luke Air Force Base, Ariz. Child Development Center employees and partner civilian agencies learned techniques about structured physical activities for children that incorporates fundamental movement skills such as throwing, kicking and striking, to reduce health related concerns and improve their overall fitness. Dr. Diane H. Craft, a physical education professor, speaks about her book, ‘Active Play! 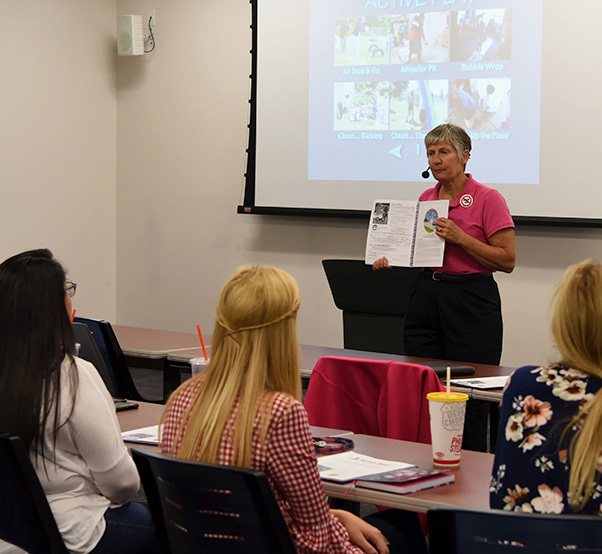 Fun Physical Activities for Young Children’, during a seminar Sept. 5, 2018 at Luke Air Force Base, Ariz. Craft’s seminar was attended by the base’s Child Development Center employees and partner civilian agencies to educate them on how to actively engage with children to reduce youth health concerns. Seminar attendees participate in an activity led by Dr. Diane H. Craft, a physical education professor, during a seminar Sept. 5, 2018 at Luke Air Force Base, Ariz. 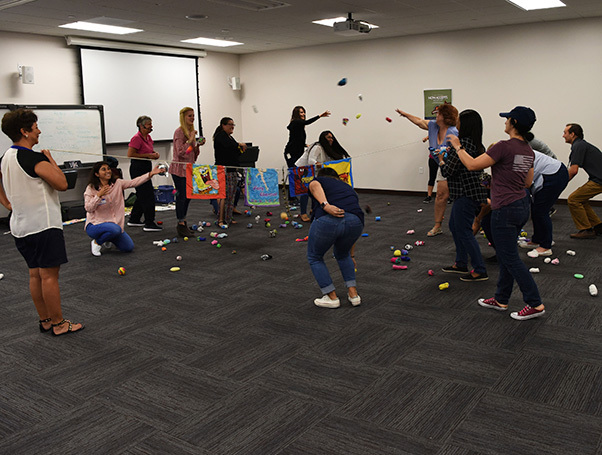 Craft provided Child Development Center employees and partner civilian agencies with different examples of activities that are designed to give children opportunities to practice their locomotor skills, object control and stability skills to help reduce health risk at early ages. 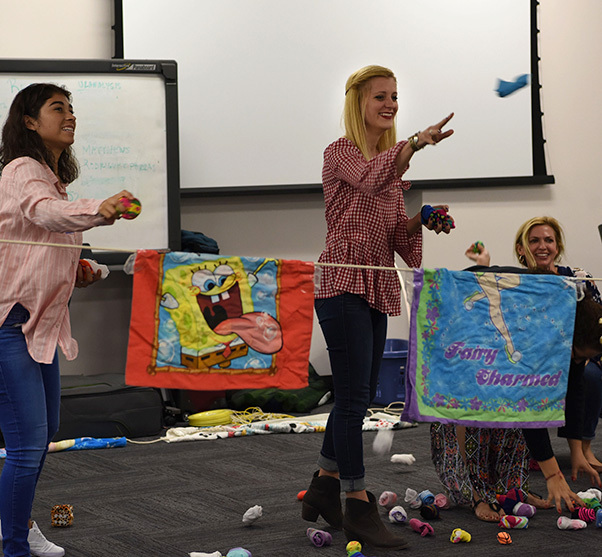 Attendees throw rolled socks during an activity led by Dr. Diane H. Craft, a physical education professor, during a seminar Sept. 5, 2018 at Luke Air Force Base, Ariz. Child Development Center employees and partner civilian agencies attended the event which taught them ways to integrate physical activities for children that promote health, family engagement and brain development into their every day schedules. The Luke Chapel team is committed to ensuring spiritual care for the entire family. Chapel offices are in the Luke Community Chapel at 139th Avenue and Shooting Star Street. All services are Sunday unless noted. 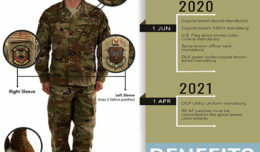 For more information, call 623-856-6211. 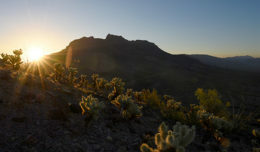 Buddhist Study Group meets every 4th Saturday at 10:30 a.m.
For information, call Alicia Siefert at 623-856-6211. Officer Christian Fellowship (Singles) Monday night bible study and fellowship.